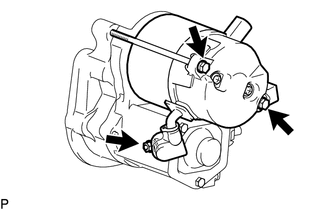 (a) Install the starter armature to the starter yoke. (a) Install the starter brush holder assembly. (b) Connect the 4 brushes to the starter brush holder assembly. (1) Using a screwdriver, hold back the brush spring. (2) Connect the brush to the starter brush holder assembly. Check that the positive (+) lead wires are not grounded. (c) Place a new O-ring in position on the commutator end frame. (d) Install the commutator end frame with the 2 screws. 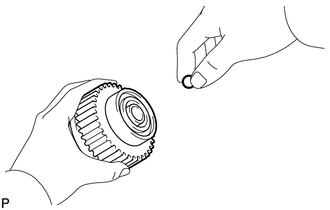 (a) Apply high-temperature grease to the idle gear, steel ball, return spring, clutch roller and retainer. (b) Insert the steel ball into the starter clutch hole. (c) Insert the return spring into the starter clutch hole. 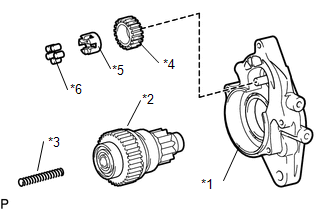 (d) Install the starter clutch sub-assembly, idle gear, retainer and clutch roller to the starter drive housing assembly. 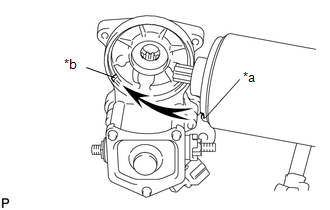 (e) Install the starter drive housing assembly to the magnet starter switch assembly with the 2 bolts. 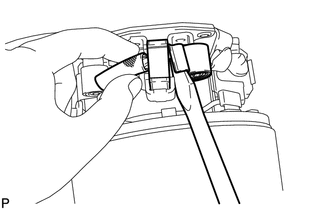 (a) Install a new O-ring to the groove of the starter yoke assembly. 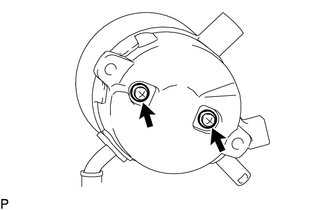 (b) Align the claw of the starter yoke assembly with the groove of the starter switch. 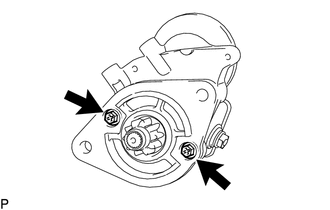 (c) Install the starter yoke assembly to the magnet starter switch assembly with the 2 bolts. (d) Connect the lead wire to terminal C with the nut.